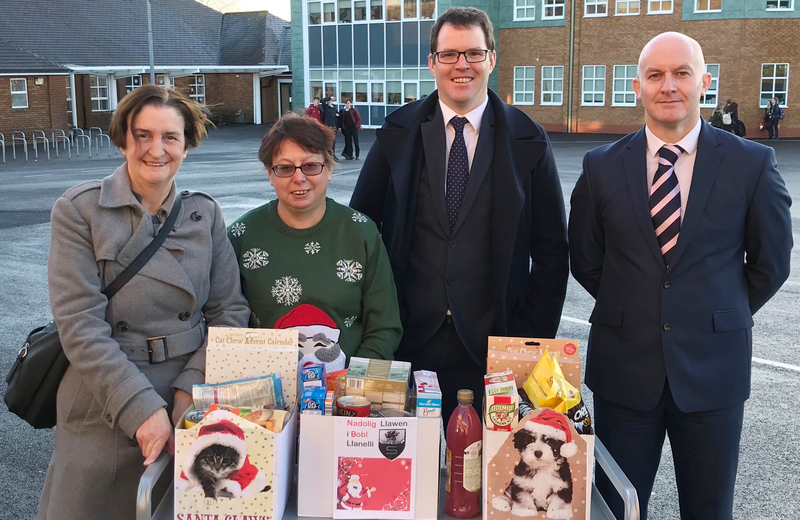 Lee Waters and I have been overwhelmed by the donations of money, food, clothes and toys that have been brought into our offices for the Llanelli Star and Evening Post’s ‘Everyone Deserves a Christmas’ campaign. It is heart-warming to see so many people from right across Llanelli going out of their way to help those who find themselves homeless or struggling to make ends meet this Christmas. We’ve had donations from Burry Port, Dafen, Felinfoeld, Kidwelly, Llanelli town, Pontyberem, Llangennech and the Morfa. Lee and I visited Ysgol y Strade last Friday to talk to Year 7 pupils about the importance of the campaign. As we were leaving, the headmaster presented us with a trolley full of donations from teachers and pupils. On the weekend I met Major Denise Cooper of the Salvation Army, Stuart Watkins from the Antioch Church and Gary Glenister, who runs Sospan Soup Station, to deliver the donations we’ve received. They are working hard to distribute the donations to those in need and ensure food and support is available throughout Christmas Day. It is down to the efforts of volunteers like them – and the kind people who have made personal donations to this campaign – that far fewer people will be alone and hungry this Christmas. Donations can still be brought to our offices at 43 Pottery St, Llanelli SA15 1SU, where they will be distributed by local charities to appropriately assessed families. Anyone looking to donate has until 12pm on Friday 22nd December to bring in their items.